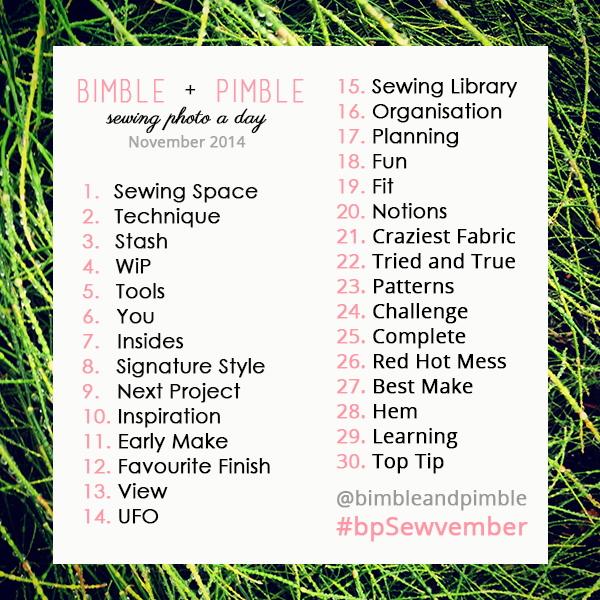 Who else is taking part in the fab Instagram happening that is #bpsewvember? Created by Amanda over at Bimble and Pimble, it is a daily sewing photo challenge,and I’ve taken part each day (you can see here) and it has been fantastic to see behind the scenes and into the lives of other sewers, making me feel like not such a sewing nerd after all, knowing that there is a whole band of (mostly) women out there feeling the same as me about fabric, finishes, and numerous WIP!! 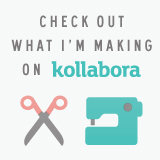 I grant that I have felt that by reading many fabulous blog post from many fabulous bloggers but this is a bit different, as you get to see the guts of sewing spaces, finishes, tools, style and it feels more spontaneous I guess. I am new to this whole blogging thang and abit nervous about reaching out to fellow sewers but this had been a great ice-breaker. It is half way through now, but still go and check it out if you even remotely feel that you may have a smidge of sewing nerd in you.